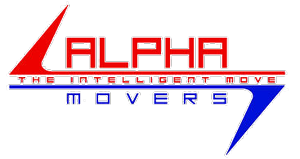 Alpha Movers is proud to offer quality moving tips to help you and your family with a successful move. Call (385) 313-8657 for more helpful tips and to schedule your move. If everything is labeled by name, the separation of stuff while movers unload will be much easier. This will save you a lot of time. Having proper labels of some of the content in the boxes makes sure fragile items are packed towards the top and are handled properly. We recommend labeling on the side of the boxes. Being able to see what room the boxes are from without unstacking them will save you loads of time. Making sure boxes are taped and packed well not only protects your stuff, it also helps keep our movers safe. Movers have a lot of experience and know the proper ways of moving. They will gladly answer any questions or concerns you may have.